We know from the plethora of research out there that READING to our children is one of the best things we can do to help develop their language. Read, read, READ! But…are all books created equal? Well, no- all books are NOT created equal. However it is important to know that a “good” book does not need to be one that has won awards. A GOOD book is one that your child ENJOYS. Even silly books that don’t have a very strong plot CAN be great for speech & language development. Why? 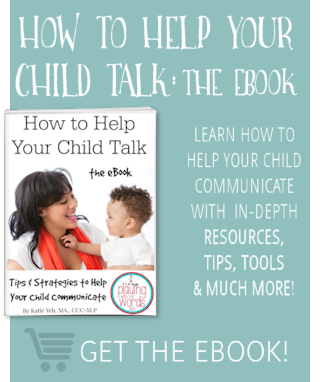 Because they can be used to open up a dialogue with your child. 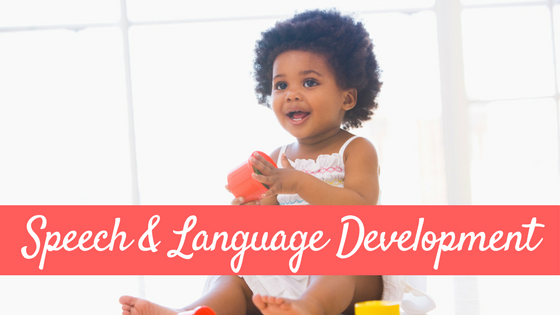 Beyond pure enjoyment, I’d like to share some characteristics you should be looking out for when selecting books for your young children to help build and strengthen their speech & language skills from birth on. There are affiliate links to Amazon in this post for your convenience. 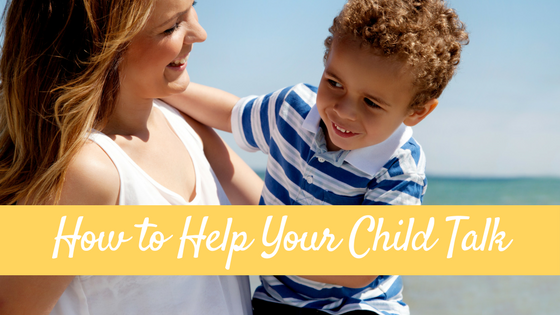 Books about your child’s interests: vehicles, animals, trains, or a favorite character. Don’t forget seasonal and holiday books! Fall, Winter, Spring, Summer, Thanksgiving, Halloween, Thanksgiving, Christmas, Hanukah, Chinese/Lunar New Year, St. Patricks Day, Easter, etc. Wordless picture books are AWESOME for developing oral language skills at ALL ages so be sure to have these at each stage of development. Don’t fill your shelves with books about letters, numbers and colors. Your children have PLENTY of time to learn these concepts within natural experiences, conversations, and PLAY. Feel free to have a few of these on your shelf of course but make sure that is not ALL you have. 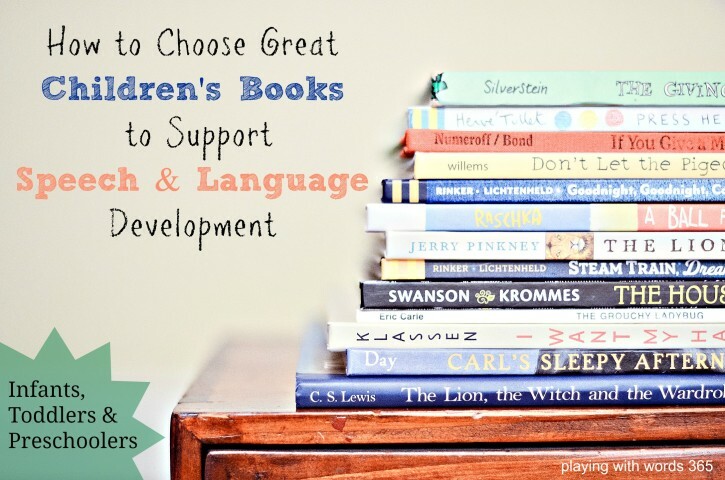 When selecting books, try to provide your child with a variety of TYPES of books. Simple picture books, board books, fabric books, touch and feel books, wordless picture books, lift-the-flap books, books based on song, rhyming books, poem books, “find and seek” books, pop up books, pull the tab, etc. Made from durable materials. Infants and Toddlers tend to like to use their many senses, including TOUCH, to explore books so having sturdy durable books is important for both safety and LENGTH OF USE. Board books and books made from fabrics are great for this age. Short, age appropriate sentences. Usually one sentence per page max is appropriate. Allow for multi sensory exploration. Like I noted above, infants and toddlers like to use their many senses to explore their world, including books. Books that allow them to touch, feel, and manipulate are fantastic for this age group and allow you to expand language. Lift the flap books are FANTASTIC for providing opportunities for language as they are fun, engaging, employ the milestone of object permanence, and tend to be motivating for little ones. Books that are about the following topics: babies/toddlers, animals, animal sounds, simple songs/nursery rhymes, going to bed/nighttime, vehicles, etc. Where’s Spot? Pat the Bunny Where Is Baby’s Belly Button? Books with 1-2 sentences per page. Older toddlers can understand and appreciate very simple stories and love simple rhymes/repeition and predictable text that they can memorize/predict. Older toddlers tend to enjoy SILLY books! Books that make them LAUGH. Older toddlers will also begin to enjoy stories that have a simple problem that needs to be solved. In addition to lift-the-flap books, your older toddler may be ready for other types of interactive books such as pull-the-flap or pop up books (if you feel you can trust them not to rip them 😉 ). 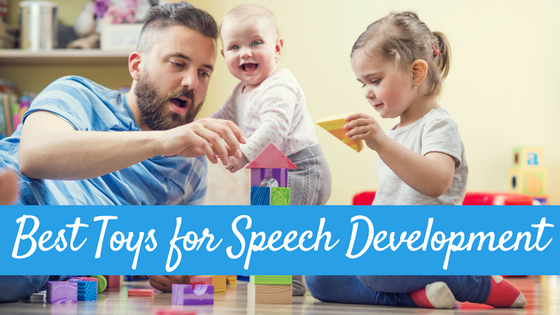 In addition to the topics for infants and younger toddlers, you can add a few to your collection that talk about colors and shapes and letters…but remember don’t go overboard 😉 . Little Blue Truck Hippos Go Berserk! Peek-A Who? 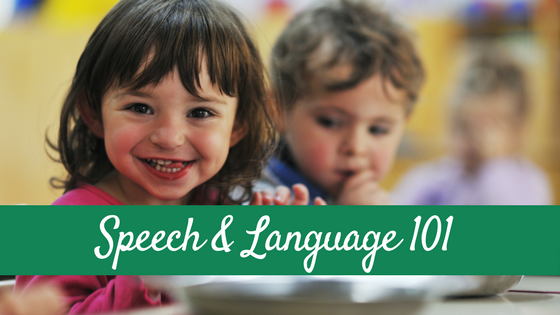 3-5 year olds are ready for stories with longer sentences/more words per page. They are ready for books that tell a real story with characters, problems, and simple conflicts. Books about other kids their age experiencing different routines and activities of life such as going to preschool, the doctor, dentist, going on trips, becoming a big brother/sister, etc. Books that explain WHY or HOW things work. Books with simple text they can memorize and/or read themselves! Ask Around. Ask your mommy friends what books THEIR kids enjoy. Especially the friends who share similar interests to your child. Browse the library or book store and let your child “pick” books out to read. Check out or buy the ones he seems to really enjoy. Read the reviews. I LOVE Amazon for SO many reasons (two day shipping with prime, anyone?) but one of my favorite parts of Amazon are the reviews. If you are looking for some new books to read to your child, check out the reviews on Amazon. You can actually search for book list recommendations based on your child’s age and/or interests. Seriously. Follow some great blogs that focus on books. Check out Growing Book by Book and No Time for Flashcards for some great book recommendations and lists by topic/theme. Follow along with the Virtual Book Club for Kids. 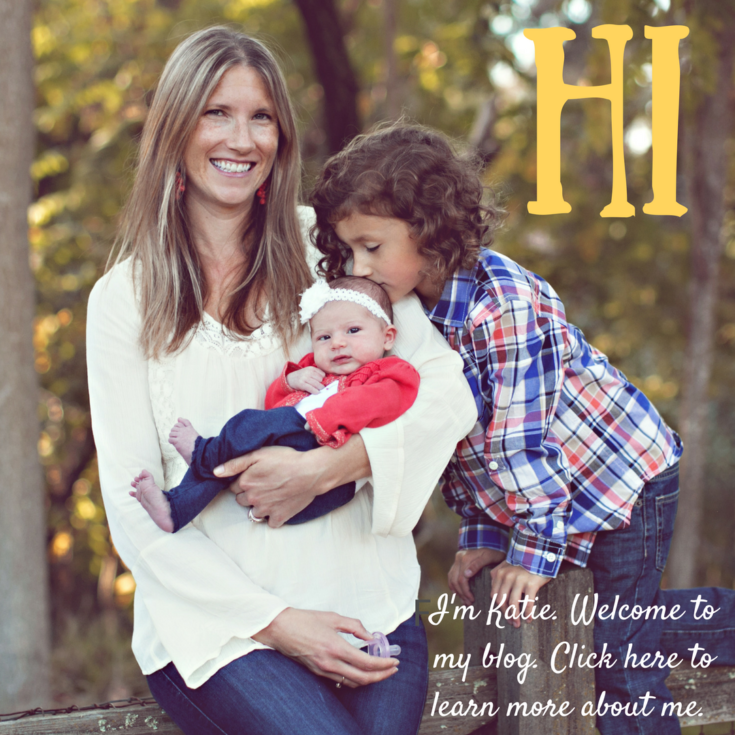 As a host this year, I’ll be posting monthly about great books and how to use them to expand speech/language skills in young children and will link to MANY other fantastic participating blogs as well. Such great advice! Thank you so much for the recommendation too :-).